As we have noted before, there are a number of resources available to help women entrepreneurs level the playing with their male counterparts. 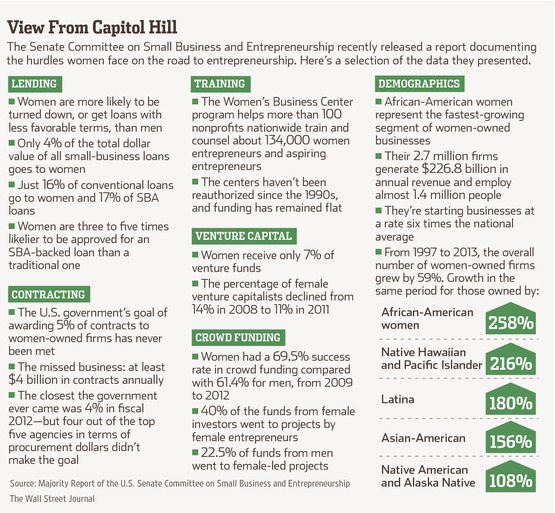 The following two charts, both from the Wall Street Journal, highlight (1) the characteristics of female versus male entrepreneurs and (2) the disadvantages that women entrepreneurs face. Click here to read more about this subject.